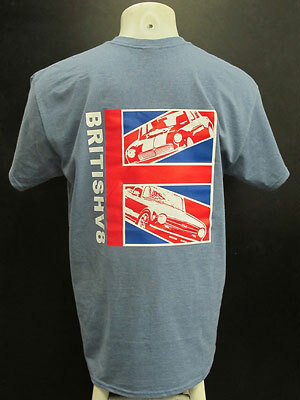 Merchandise: Show Your Support / Wear an Improved British Sportscars T-shirt! 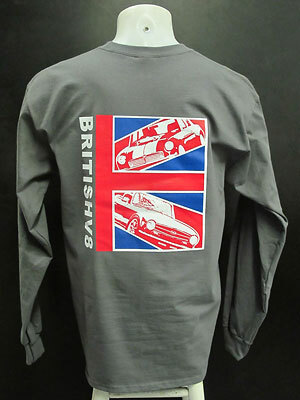 Show Your Enthusiasm for Improved British Sportscars! Sorry. This design has SOLD OUT. We'll be back soon with a new design. 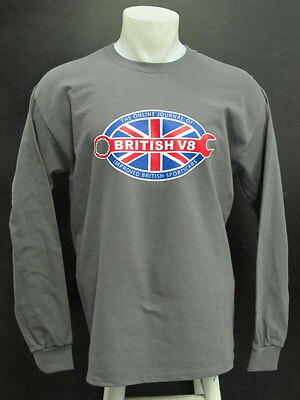 We chose a bold design for the newest BritishV8 "Improved British Sportscars" fund-raiser T-shirts. 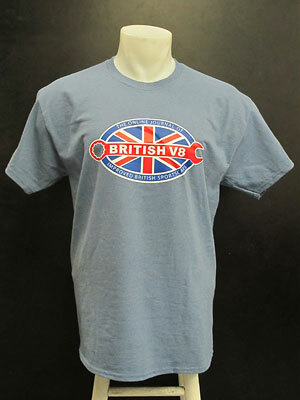 Vivid red, white and blue over fashionable Heather Indigo or Charcoal material.